Where I Got: I got an advanced copy directly from Month9Books, which hasn’t influenced my review in way. Promise! I wasn’t sure about The Night House at first, but as I kept reading, I was pulled in Bianca’s world, and wanted to keep reading to figure out what her world was like and what was going on. I thought the idea of Night Houses to be really interesting. A place where vampires can feed, and yet they are places that most people don’t seem to be aware of…it’s different. And nauth is also really different but in a good way. Everything Tafoya does with vampires is really believable (at least, it is to me). Also: there definitely seems to be a structure with the vampires- kings and monarchs and regular vampires, and they all have their own territories. What’s odd is that The Night House is a stand-alone book, which seems really rare for a paranormal. And yet, it works really well. Bianca’s world felt so detailed, even though I still have quite a few questions. Like, I feel like there’s so much more to the vampire social structure, and James, this empath. There have to be other people with abilities, right? I’m really curious to know if there are, and if there are other hidden worlds in this one. Bianca’s world unravels as we keep reading, and we get enough of her world to know what’s going on. Normally, I like to know as much about a world as possible, especially with a paranormal world. And yet, I liked learning more about this world. It definitely felt like Tafoya knew so much more about Bianca’s world then what we get in the book. At least, that’s what it felt like to me, because I really felt like I was in this world. 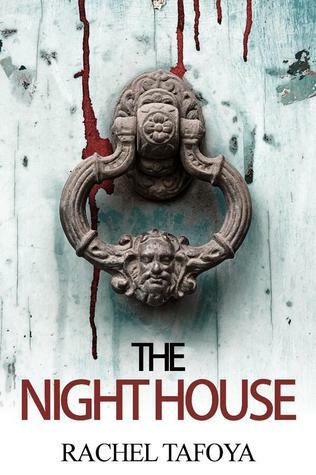 Initially, I wasn’t sure about The Night House, because I felt confused about what was going on. Things didn’t really make sense to me, but I’m really glad I stuck with it, because it really is a unique take on vampires. The Night House was such a pleasant surprise! I really like this world, and it’s full of detail, even though we only get what we need to know. The Night House gets 4 stars.